The Opportunity Shop is St. Alban’s oldest outreach program. The Op Shop thrift store, located on the lower level of Satterlee Hall, has offered quality goods at reasonable prices since 1955. Proceeds support those in need in our community and beyond. Tuesday – Saturday, 9:30 a.m. – 3:00 p.m.
Tuesday to Saturday, 9:30 a.m. – 2:30 p.m. 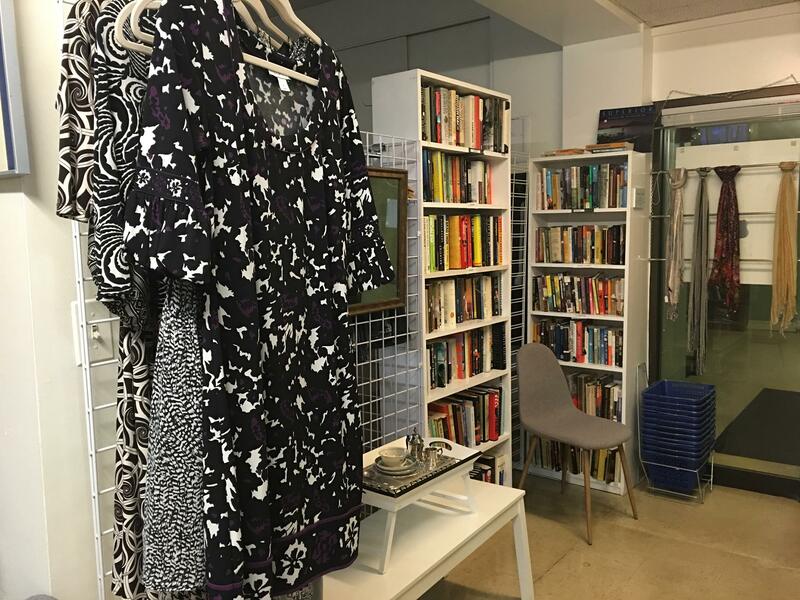 The Op Shop acc epts donations of clothing and shoes for women, men and children; bedding, curtains, drapes and linens; household items and home decor; books, toys and jewelry. Donations are accepted at the Op Shop front desk or the rear door off the Rectory driveway. A donation form is provided for tax purposes, upon request. Volunteers who staff the Op Shop enjoy the satisfaction of helping people find what they need. If you are interested in volunteering as a clerk, pricer, or cashier, please contact Melody Knight, Opportunity Shop manager. The Op Shop and the funds it brings in are managed by Workers of St. Alban’s (or WSA). Funds obtained from the Opportunity Shop are used to support programs directly assisting people in need. Click here to find out more about the WSA and how your program can apply for a WSA grant. The Op Shop set a sales record in 2016, raising $298,000 for charitable donations. Help us break the record this year!